Medgar Evers' Widow Will Deliver Invocation Prayer At Inauguration : The Two-Way Myrlie Evers-Williams will deliver the invocation at President Obama's inauguration, reportedly becoming the first woman, and someone other than clergy, to say the prayer that precedes the ceremonial oath of office. The ceremony will take place on Jan. 21, Martin Luther King Jr. Day. 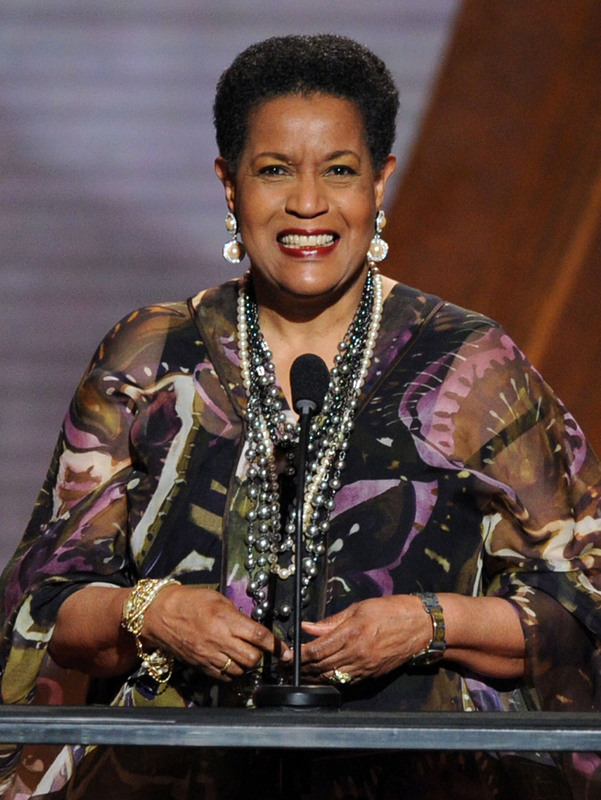 Myrlie Evers-Williams, seen here in 2010, will deliver the invocation at President Obama's second inauguration on Jan. 21. The widow of slain Civil Rights organizer Medgar Evers will deliver the invocation at President Obama's inauguration. Myrlie Evers-Williams will become the first woman, and someone other than clergy, to say the prayer that precedes the ceremonial oath of office, as The Washington Post reports. The inaugural ceremony will take place on Jan. 21, Martin Luther King Jr. Day. "This year marks 50 years since her husband, NAACP field secretary Medgar Evers, was slain outside their family home in Jackson, Mississippi." "Evers-Williams says it's "an exhilarating experience to have the distinct honor of representing" the civil rights era" at the inauguration." "She is a former chair of the NAACP and currently serves as a distinguished scholar-in-residence at Mississippi's Alcorn State University." It was the persistence (and record-keeping) of Evers-Williams that finally led to the conviction of Byron De la Beckwith for her first husband's murder, in 1994. In 1995, her second husband, Walter Williams, died of prostate cancer. The inauguration's benediction will be delivered by Rev. Louie Giglio, pastor of Passion City Church in Atlanta, Georgia. This year's inauguration will be held one day after Obama and Biden are officially sworn in on Jan. 20, as mandated by the Constitution. Because that date falls on a Sunday, the public ceremony and parade will be held one day later. President Reagan made the same adjustment in 1985.